CLEAN OUT Is A Locally Owned & Operated Demolition Company, Cleaning Company & Junk Removal Company. CLEAN OUT is available 7 Days A Week for hoarding clean up, feces clean up, mold clean up, flood clean up, sewage clean up, fire clean up, crime scene clean up, body fluid clean up, gross filth clean up, crawlspace clean up, basement clean up, attic clean up, house clean out, building clean out, carpet removal, floor removal, insulation removal, junk removal, trash removal, asbestos removal, pressure cleaning and waterproofing. CLEAN OUT will respond within 30 MINUTES for EMERGENCY SERVICES. Call 1-800-770-0038 For Any Of Our Services Any Time, Any Day. Our demolition company will give you a free estimate for home demolition service, commercial demolition service, building demolition service, industrial demolition service, flooded basement demolition service, garage demolition service, shed demolition service and barn demolition service. We also offer commercial gut out service, building gut out service, house gut out service & basement gut out service. 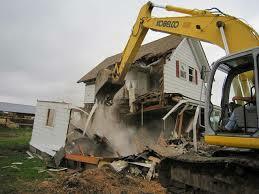 We have the manpower and equipment to handle any size house demo service or building demo service. Our house demolition service includes above ground swimming pool demolition, porch demolition, fence demolition & deck demolition. 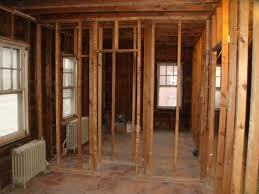 We are an interior demolition company and exterior demolition company. Call CLEAN OUT 1-800-770-0038 Anytime 24/7 for a Professional Commercial Demolition Company & Residential Demolition Company. Our 24 hour emergency flood water pump out company can make a big difference in stopping structural flood water damage. 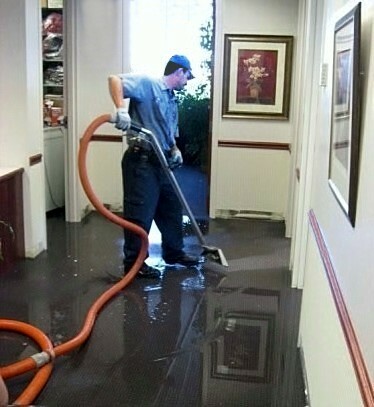 Our commercial flood water damage company will extract flood water, pump out flooded basements, dehumidify flooded houses, dry flooded commercial buildings and sanitize flood water damaged homes. We are available 24/7 to clean up carpet water damage, wall flood water damage, ceiling flood water damage and hardwood floor flood water damage. We offer flood water removal service from inside the flooded house, flooded basement, flooded cellar, flooded crawlspace or flooded commercial building, Call 24/7, even in the middle of a storm, for our basement flood water pump out service and crawlspace flood water pump out service. We will remove flood water damaged materials and dry out with dehumidifiers and fans. We bill your insurance company for all emergency house flood water damage service, emergency basement flood water damage service or emergency commercial building flood water damage service. We are a fast response flood pump out company, basement pump out company and sewage pump out company. Call CLEAN OUT 1-800-770-0038 Anytime 24/7 for a Professional Emergency Flood Water Pump Out Company & Flood Water Removal Company. Our 24 hour emergency sewage damage removal company and animal feces clean up company will safely remove sewage and cleanup animal feces. Armed with the correct sewage cleanup and feces clean up equipment our animal feces removal service and sewage extraction service turns unsafe structures into safe, clean houses and buildings. We offer sewage clean up service, sludge cleanup service, mud clean up service, muck cleanup service, raccoon feces clean up service, bat feces cleanup service, rat feces clean up service, mice feces cleanup service, mouse feces clean up service, rodent feces cleanup service, squirrel feces clean up service, cat feces cleanup service, dog feces clean up service, pigeon feces cleanup service and bird feces clean up service. We are a 24/7 sewage clean up company and animal feces removal company. Call CLEAN OUT 1-800-770-0038 Anytime 24/7 for a Professional Emergency Sewage Feces Removal Company & Animal Feces Removal Company. Our junk removal company and hoarder cleanup company will remove wet carpet, wet insulation, wet drywall and wet furniture. We will get a dumpster or use our dump trucks. We offer regular junk removal service, trash removal service, hoarding cleanup service & clutter clean up service. Call us for shed removal service, jacuzzi removal service, wet carpet removal service, wet insulation removal service, pool table removal service, hot tub removal service, piano removal service, swimming pool removal service, fence removal service, deck removal service, swing set removal service, playset removal service, sign removal service, safe removal service, clutter removal service or hoarding junk removal service. We are also a total house cleanout company, commercial office building clean out company, garage cleanout company, attic clean out company, basement cleanout company, crawlspace clean out company, cellar cleanout company and hoarding clean out company. We are a reliable junk removal company and hoarder clean up company. Call CLEAN OUT 1-800-770-0038 Anytime 24/7 for a Professional Clutter Clean Up Company & Hoarding Clean Up Company. Our 24 hour emergency mold restoration company uses a non-toxic mold cleaning and mold removal system to safely remove and clean up mold damage. All of our service techs are equipped and trained for mold remediation service and mold clean up service. When mold damaged areas are found with mold inspection and mold testing, a mold damage restoration service will be necessary. Commercial air scrubbers will be installed before the mold removal service and during the mold demolition service to prevent cross contamination and clean up the air. Mold damaged debris will be bagged and sealed. The whole mold damaged space will be completely HEPA vacuumed. We are a certified mold removal company. Call CLEAN OUT 1-800-770-0038 Anytime 24/7 for a Professional Mold Restoration Company & Mold Remediation Company. Our 24 hour emergency carpet water damage cleaning company specializes in deciding when your flooded wet carpet can be dried or if it needs to be removed. We offer 24/7 immediate carpet water extraction service and carpet water removal service. In most cases the wet carpet pad needs to be torn out and air blower drying fans installed to dry the flooded wet carpet, wet baseboard and wet wood sub floor. A commercial dehumidifier is installed to intensify the wet flooded carpet drying service. We are also house carpet cleaning company, office carpet cleaning company, commercial carpet cleaning company and industrial carpet cleaning company. Call CLEAN OUT 1-800-770-0038 Anytime 24/7 for a Professional Wet Carpet Removal Company & Commercial Carpet Cleaning Company. Our 24 hour emergency tile floor and wood floor water damage drying company specializes in deciding when your flooded wet wood floor and wet tile floor can be dried or if it needs to be removed. Our wood floor cleaning company and tile floor cleaning company restores flood water damaged hardwood floors and tile floors to their original shine and color. 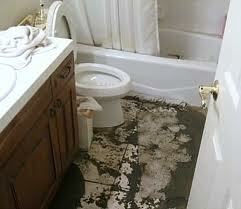 We carefully extract flood water, remove sewage or clean up mud to prevent scratching or cracking the floor. We install dehumidifiers and air blower fans to completely dry the floor and prevent the tile floor, hardwood floor, pergo floor or laminate floor from lifting or separating. Our wood floor cleaning company and tile & grout cleaning company restores the original shine on your floor. Call CLEAN OUT 1-800-770-0038 Anytime 24/7 for a Professional Wet Flooded Tile Floor Removal Company & Wet Flooded Wood Floor Removal Company. 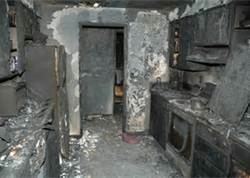 Our 24 hour emergency smoke damage clean up company and fire damage cleanup company offers smoke clean up service, ash clean up service, fire clean up service and soot clean up service. We cleanup smoke and remove soot from all nooks and crannies. We remove fire odor and smoke odor from floors, walls, ceilings and air duct systems. Our fire damage clean up company and smoke damage cleanup company leaves your smoke damaged building or fire damaged house smelling clean and looking clean again. Call CLEAN OUT 1-800-770-0038 Anytime 24/7 for a Professional Emergency Fire Damage Clean Up Company & Smoke Clean Up Company. Our air duct cleaning company and dryer vent cleaning company provide certified air duct cleaning service & dryer vent cleaning service. 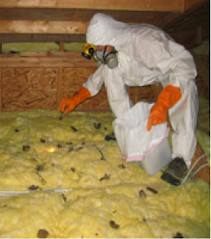 We will clean air duct work and remove rodents, smoke odor, pollen, dust, dust mites, animal feces and animal dander. We have the HVAC duct cleaning & heating air duct cleaning experience to sanitize, deodorize & clean out all commercial air duct systems. We use modern technology and equipment for condo dryer duct cleaning, apartment dryer vent cleaning, commercial air duct cleaning or house air duct cleaning. Dryer vent cleaning can prevent a deadly fire. We are an experienced air duct cleaning company and dryer vent cleaning company. Call CLEAN OUT 1-800-770-0038 Anytime 24/7 for a Professional Air Duct Cleaning Company & Dryer Vent Cleaning Company. Our pressure washing company is experienced in pressure washing basements and power washing crawlspaces due to flood damage, mud damage, sewage damage or water damage. We do a total basement sanitizing service and basement clean up service to remove all the contaminants, bacteria and fungus. We install commercial dehumidifiers and air blower fans to dry wet flooded basements, flooded cellars and flooded crawlspaces and prevent expensive mold damage. 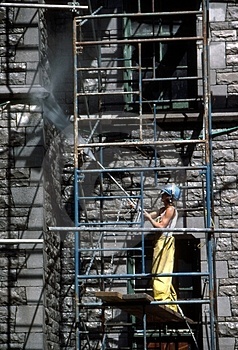 We are an exterior house pressure washing company, building power washing company & commercial pressure cleaning company. Call CLEAN OUT 1-800-770-0038 Anytime 24/7 for a Professional Basement Pressure Washing Company & Crawlspace Pressure Cleaning Company. Our 24 hour emergency drain cleaning company offers 24/7 emergency drain clearing response for clogged drain pipe clean out service, unclogging toilet service, sewer pipe snaking service, water drain cleaning service and sewage back up cleanup service. We have all the necessary drain snaking and drain unclogging tools and equipment to service any size job- from one drain unclogging in a home to an apartment building drain system unclogging. We use modern drain cleaning equipment to insure a proper drain snaking service & drain clean out service. We are an emergency commercial drain snaking company and residential drain cleaning company. Call CLEAN OUT 1-800-770-0038 Anytime 24/7 for a Professional Drain Snaking Company & Drain Cleaning Company. Our 24 hour emergency commercial waterproofing company, crawlspace waterproofing company & basement waterproofing company will prevent any of our other water clean up services from becoming necessary. We specialize in industrial waterproofing service, commercial building waterproofing service, basement waterproofing service, foundation waterproofing service, attic waterproofing service, house waterproofing service, cellar waterproofing service & crawlspace waterproofing service. Our commercial waterproofing contractors will build a flood water prevention system to keep your house or commercial building dry. We will install a flood water drain system to stop flood water from entering and flooding your crawlspace or basement. We will prevent commercial building flood water damage, basement flood water damage, cellar flood water damage, house flood water damage & crawlspace flood water damage. Our basement waterproofing company and building waterproofing company will keep you dry. Call CLEAN OUT 1-800-770-0038 Anytime 24/7 for a Professional Crawlspace Waterproofing Company & Basement Waterproofing Company. Our 24 hour emergency asbestos removal company has trained and certified techs for asbestos removal service and asbestos disposal service. Whether it is a commercial building or residential home, our asbestos clean up service completely removes all the asbestos. We guarantee the asbestos removal service is completed by certified asbestos cleanup service technicians. Asbestos containment sections are set up to stop asbestos contaminants from spreading. 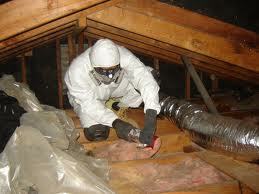 We are an experienced asbestos removal company and asbestos remediation company. 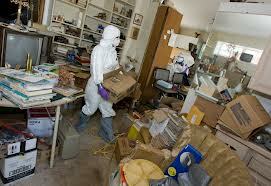 Call CLEAN OUT 1-800-770-0038 Anytime 24/7 for Asbestos Clean Up Company & Asbestos Removal Company.